“History is a spiritual thing,” began David Eisenhower, in his presentation at the 17th annual Brendan Gill Lecture, sponsored by the Bronxville Historical Conservancy. A near-capacity crowd attended the event held at Sarah Lawrence College on Friday, March 13, featuring the grandson of the 34th president of the United States, Dwight D. Eisenhower. Marilynn Hill, life co-chair of the organization, introduced Eisenhower, summarizing his life career and achievements and noting he is a much admired historian and educator. Eisenhower spent the next hour affirming why he and his work are held in such high regard. 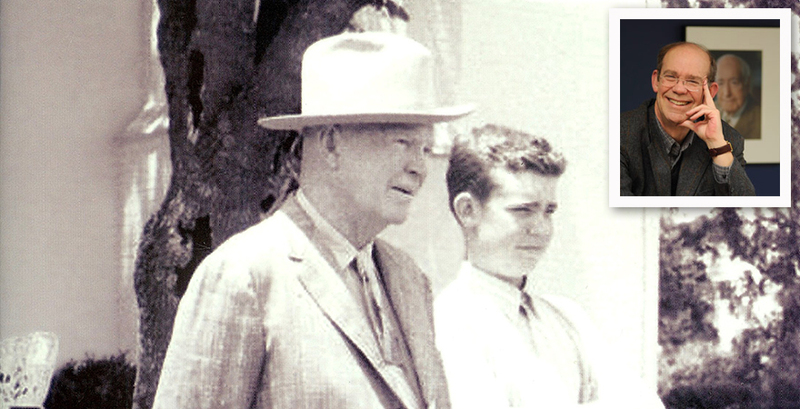 At times lighthearted and personal, Eisenhower offered entertaining recollections of life with his grandfather. A chuckle spread throughout Reisinger Auditorium as he revealed that our former president’s name at birth was David Dwight – but he liked the sound of Dwight better, so when he went to West Point, he decided to make the switch. 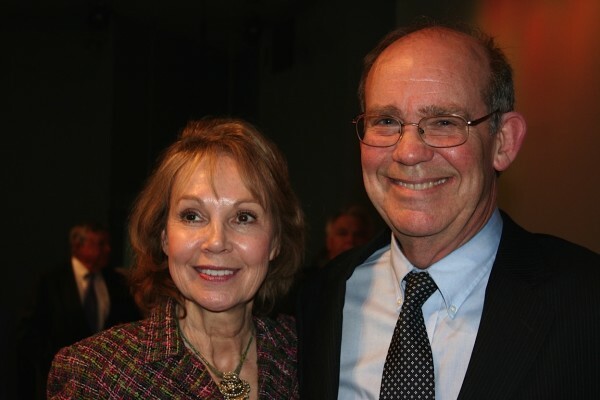 Of the time when he went to visit his girlfriend, Julie — now his wife — at Smith College: He introduced himself to the proctor: “Hello, I’m David Eisenhower and I am here to visit Julie Nixon.” The proctor replied, “and yeah, I’m Harry Truman.” Julie Nixon Eisenhower, who was present, joined in the audience’s laughter. Although some of his remarks were playful, others were pointedly serious about his commitment to preserving history. “History illuminates. It shows us how we want to live and be remembered ourselves,” said the man who said he got his head start at becoming a historian by spending his boyhood in Gettysburg, Pennsylvania. Going Home to Glory: A Memoir of Life With Dwight D. Eisenhower, 1961-1969, published in 2010, was the first time he and his wife, Julie, worked together on a book. The book is Eisenhower’s insider’s view of grandparents Ike and Mamie as they retired to their farm in Gettysburg, Pennsylvania, where David’s father, John, lived with his family. David Eisenhower was named after his grandfather (and his grandfather named the presidential retreat Camp David after his grandson.) Eisenhower was also a finalist for the Pulitzer Prize in history in 1987 for his work Eisenhower: At War, 1943-1945—about the Allied leadership during World War II. A standing ovation followed that emotion-packed comment, along with a champagne reception where both David and Julie Eisenhower spoke one-on-one with those attending. Those who missed the evening can view the lecture on Bronxville’s government access channels 47 and 74.